Click here to search for all homes and real estate in any Minneapolis neighborhood listed in the MLS by any realtor. You can search all Minneapolis MN homes for sale by MLS number, neighborhood, property type, price range, zip code, etc.To schedule a showing on any home listed by any realtor call Travis Erickson 612-729-7130. Minneapolis is home to a diverse population in it’s residents, neighborhoods, and amenities. There are 13 lakes in Minneapolis with at least 5 acres. The largest of them is Bde Maka Ska at 421 acres. Minneapolis has been ranked as one of the biking cities in the United States. According to the city of Minneapolis website Minneapolis has 129 miles of on-street bikeways and 97 miles of off-street bikeways. Wow, Minneapolis has a whopping 180 park properties and 49 recreation centers. There is so much to do in Minneapolis. We have one of the best trash and recycling programs ever! The trash comes weekly, and the recycling is single sort and comes every other week. Plus, you can put out large items on recycling day and they will come back to pick it up. Needed trips to the dump are rare here! Yeah I’m excited about that. Hey, it’s the little things that make a big difference. The housing stock is also diverse. From 1800’s homes, turn of the century, Craftsman Bungalows, Tudor style, Colonial style, 4 square, cape cod, you name it it’s here. If you are currently searching for Minneapolis MN homes for sale you will also find Urban infill new construction, amazing condos & town homes. Minneapolis MN has it all, awesome houses and real estate, nice people, and plenty of things to do! Looking for a Minneapolis MN Realtor/ Real Estate Agent? Go here to see why you should call Minneapolis’ real estate team. 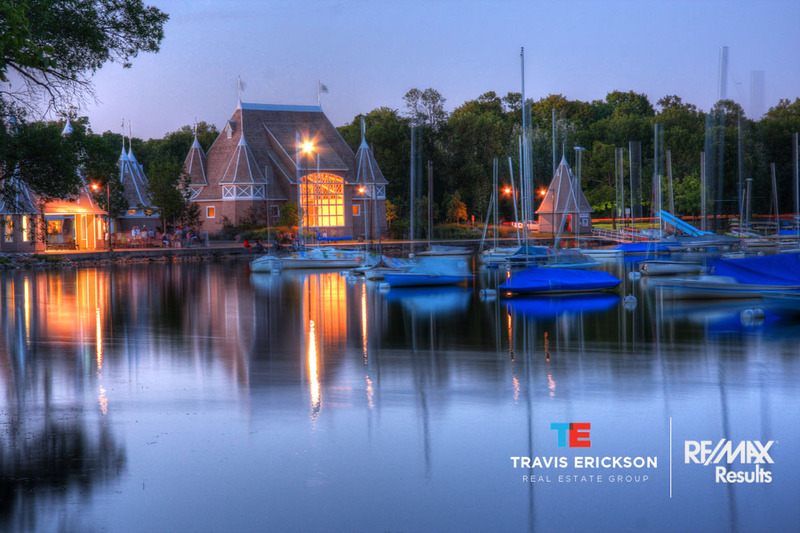 Lake Harriet Is In One Of The Prime Minneapolis Neighborhoods to Search For Homes For Sale!